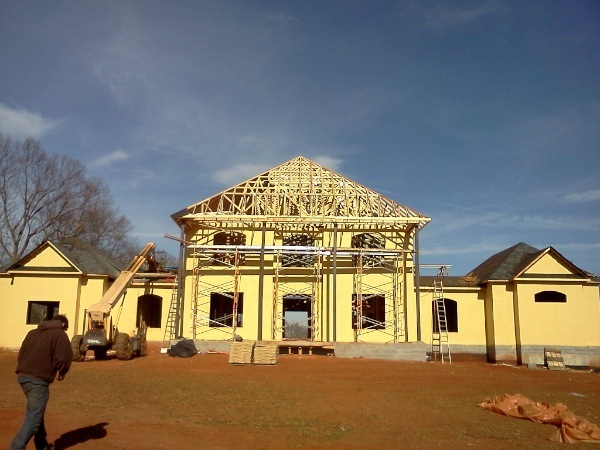 This is our current project. 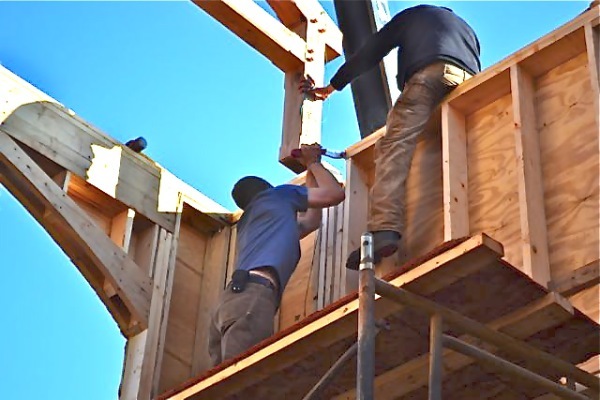 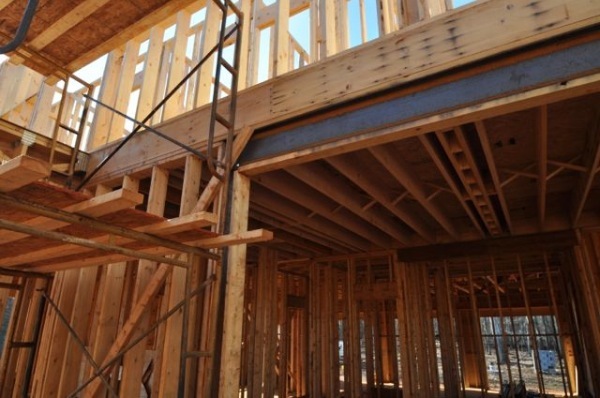 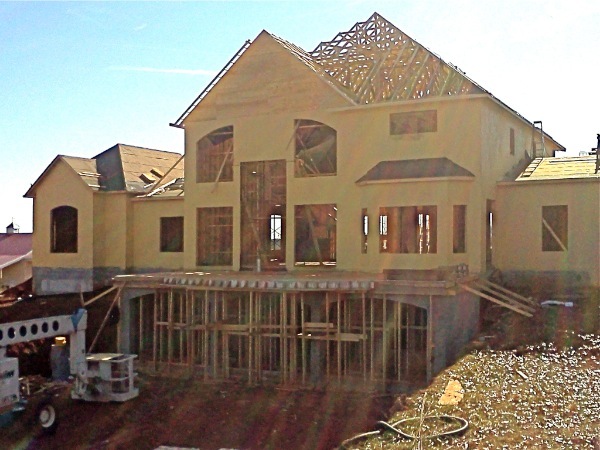 It’s being constructed as a energy efficient home. 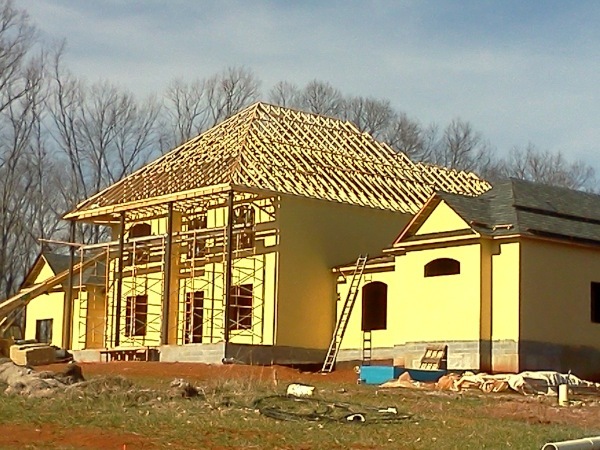 The yellow coating is a special, breathable, waterproof rubberized product. 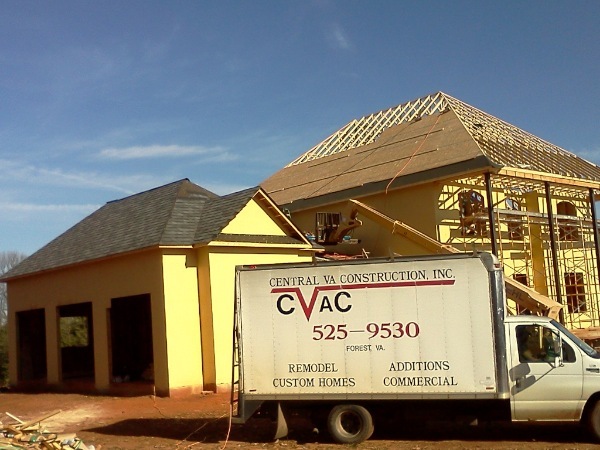 Its up to 40% more energy efficient than the traditional house wrap. 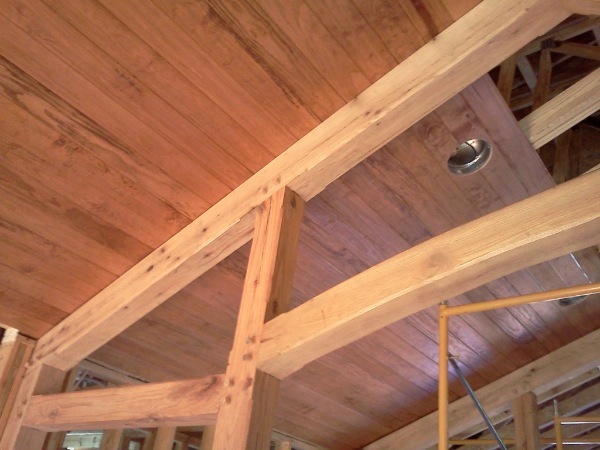 The joints in the plywood sheeting are filled with a thick filler and then the entire house is sprayed with a liquid coating. 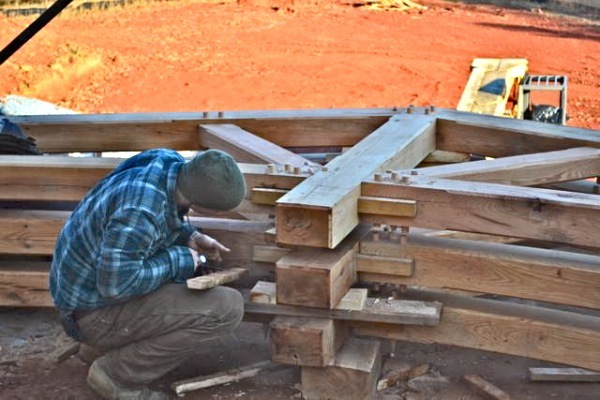 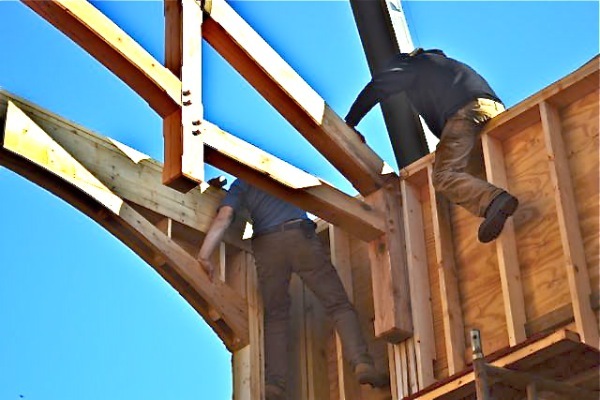 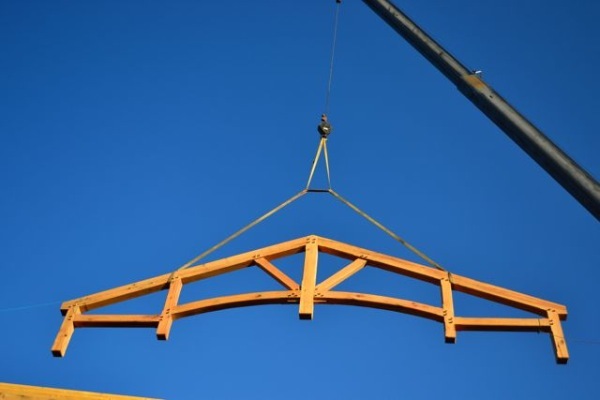 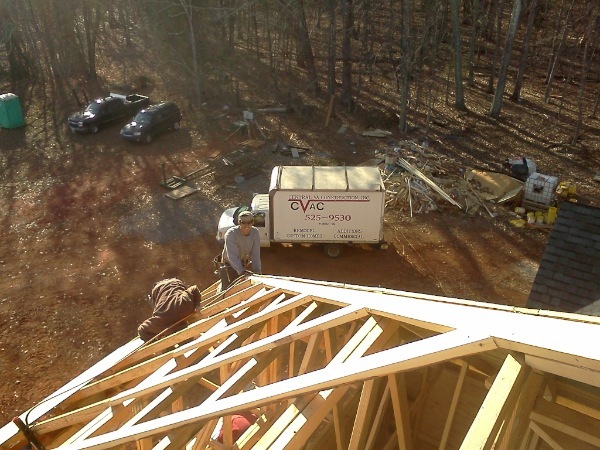 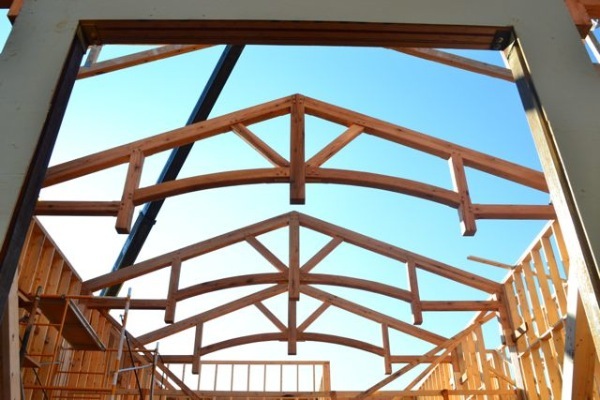 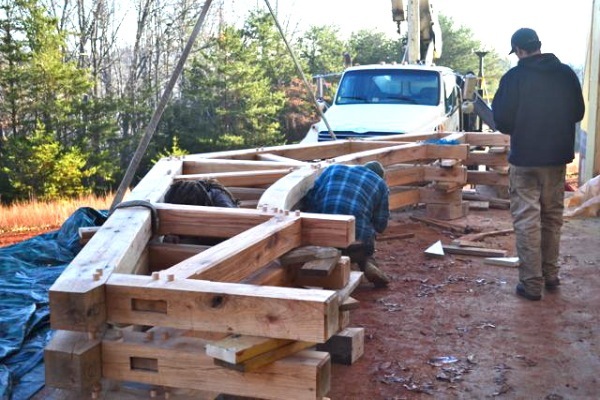 The custom made timber trusses are assembled on site before being placed into position. 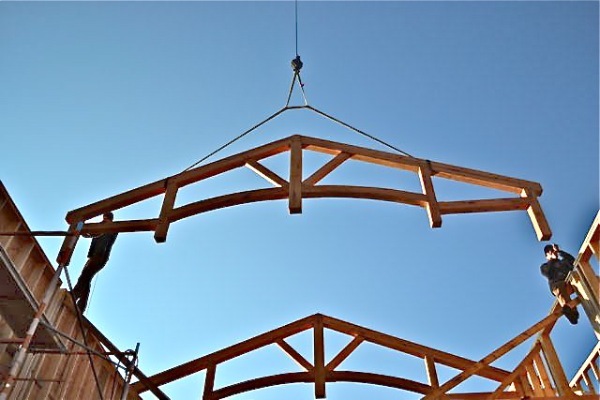 Custom made Red Oak timber trusses being lowered by crane into the special ‘support pockets‘. 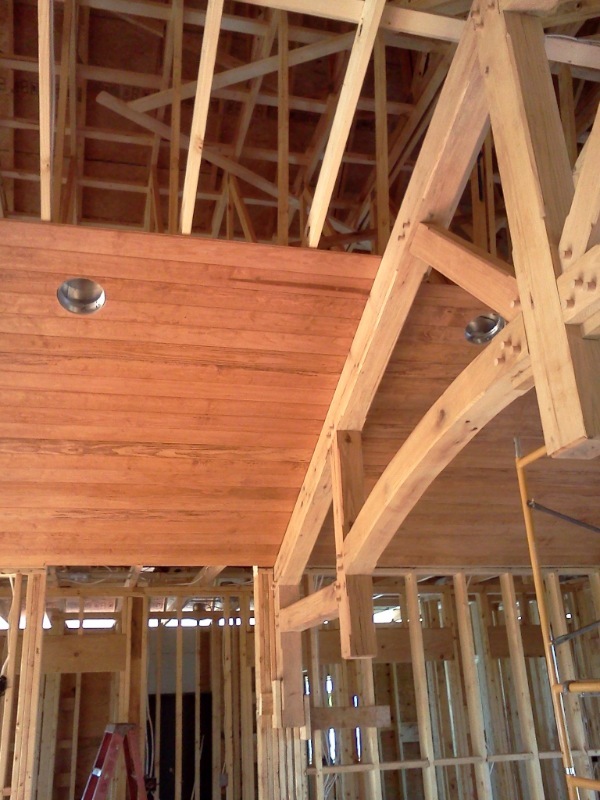 Custom made Red Oak timber trusses. 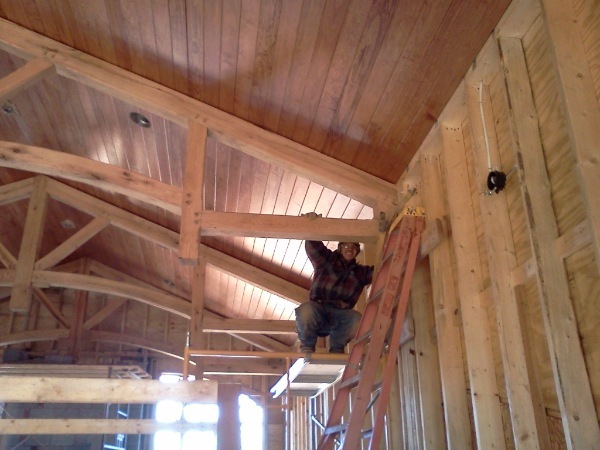 Notice the beautiful wood and the traditional joints with wooden pegs. 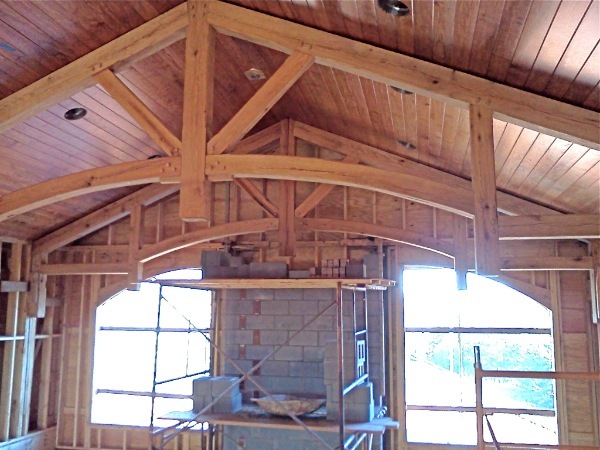 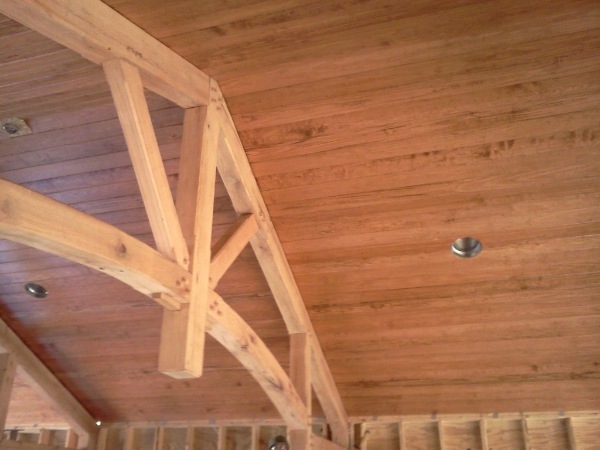 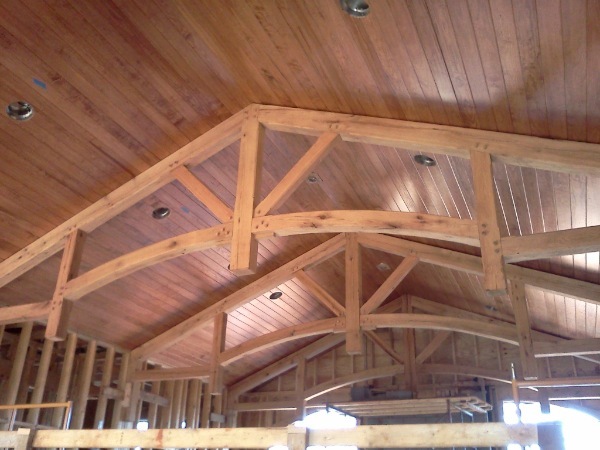 A beautiful tongue and groove ceiling is installed above the Red Oak timber trusses. 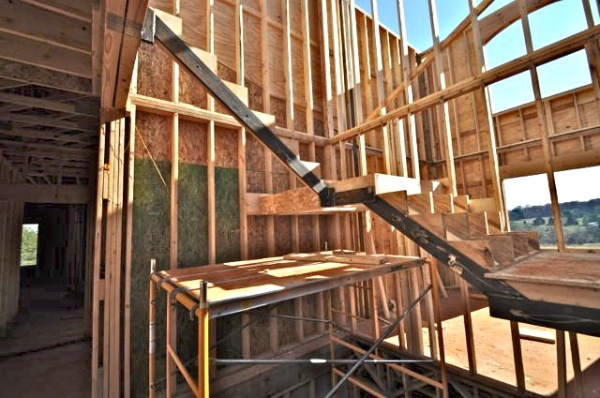 A custom designed and built staircase. 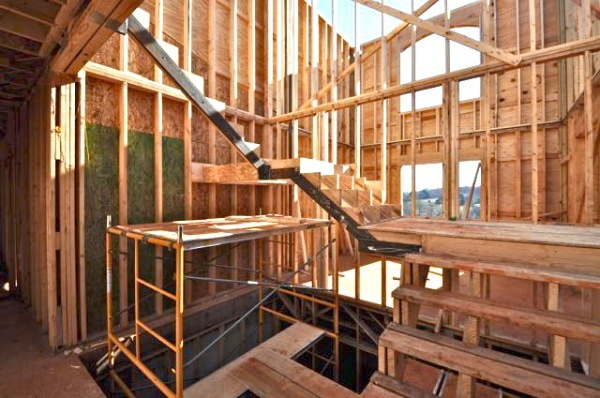 Note the steel stair stringers. 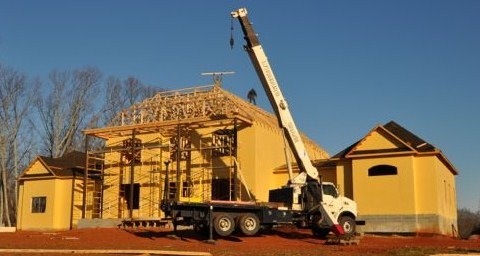 It has no support posts which allows for a unique floating look. 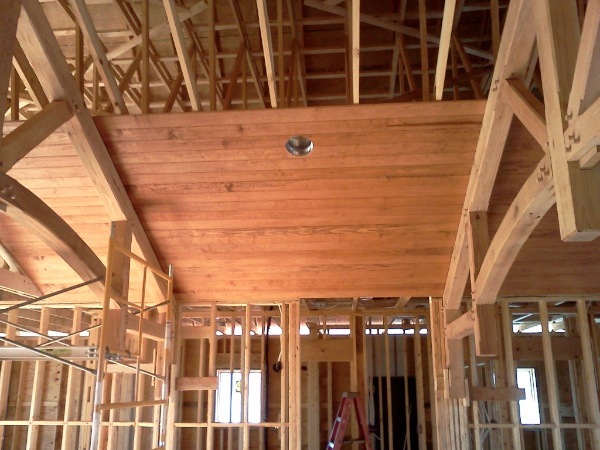 Notice the heavy duty I-beam incorporated into the floor/ceiling support structure and the 2x6 wall construction. 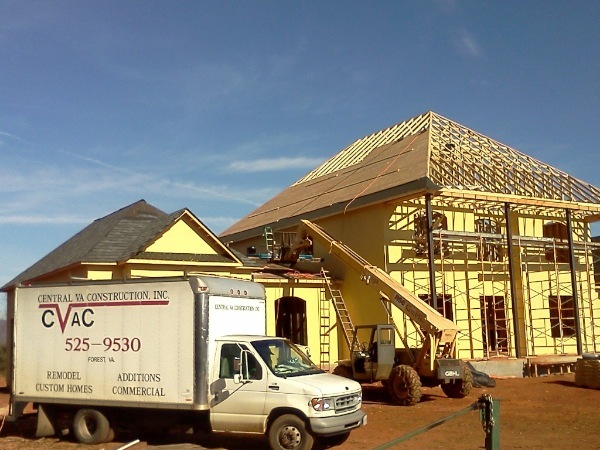 No shortcuts in this home! 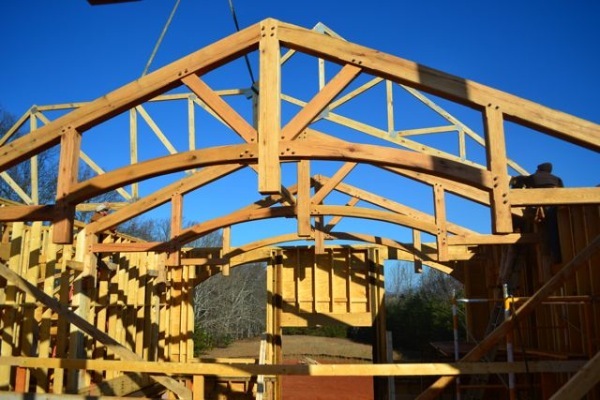 Forms for the concrete walls and archways of the back patio. 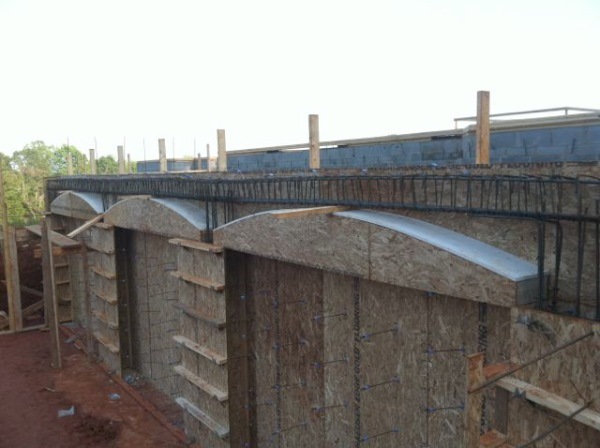 Notice the heavy duty rebar reinforcement.